Sluggo! (remixed in Stereo & Surround) on sale now! Mike reveals details on the Sluggo! Deluxe packages! 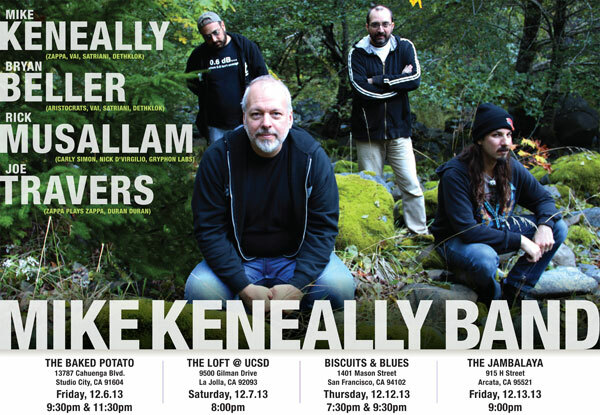 Plus, the Mike Keneally Band tours in two weeks! 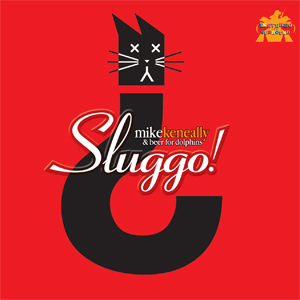 Click for a short video of Mike talking about Sluggo! and December’s California Tourette. Hey there, you glorious panoramic cross-section of music lovers you. I thought you might like to have a little more specific information about what’s on the discs in the upcoming Sluggo! Deluxe and SuperDeluxe packages. One CD, one DVD-A and one DVD in a digi-pak, plus booklet with all original art and new liner notes. Disc one is a CD containing the new stereo mix of Sluggo! (done in 2012 and 2013 by Mike Harris and myself), plus two bonus tracks. 3. Why Am I Your Guy? “Craney” was recorded during the Sluggo! sessions, and originally released on Something With A Pulse, a benefit record for drummer Mark Craney. “Bob Dylan’s Nose” was previously only available in a live version on the Soap Scum Remover VHS); it was originally intended to be part of Sluggo! This studio version of “Nose” was never completed, but it is a pretty scorching track recorded live in the studio by Bryan Beller, Joe Travers and myself. Disc Three is a standard DVD containing a plethora of material, including over two hours of live and studio video footage, the original 1997 Sluggo! CD mix, more bonus tracks, and additional ephemera. Plus some additional stuff for you to poke around and discover. A signed, numbered limited edition of 1000 copies. 5. Why Am I Your Guy? We’re doing a few shows in California in December, playing music from Sluggo! and You Must Be This Tall and other songs too. If production schedules go according to plan we will have Sluggo! for sale at the shows. All info about the four shows is located HERE. Thanks to all who’ve pre-ordered and have had such great things to say about the new stereo mix (which you receive as a download link when you pre-order Sluggo! for no additional charge). It’s a little unnerving to present a brand new mix of an album so many of you know and appreciate, and the fact that the response to the new mix has been so overwhelmingly positive validates my choice to remix the thing. I’m ridiculously thrilled about the audio on the MLP lossless surround layer on the DVD-A – I’ll be eager to hear what you guys think of it. All right, time to drive home! Talk at you soon! 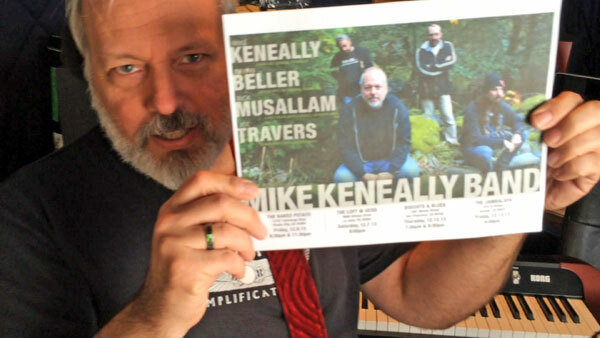 Order today at The Mike Keneally Store. You’ll get the stereo download NOW, and your multi-disc Sluggo! package will ship in early December. Showtimes: 9:30 p.m. and 11:30 p.m.
Showtimes: 7:30 p.m. and 9:30 p.m.